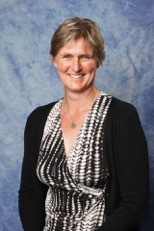 In December 2017, Miss Penny Tattershaw was appointed as the new principal at St Michael’s Church School. Most recently a long-standing Deputy Head at The Cathedral Grammar School, Penny brings a varied background to her new position. Having studied law at Oxford University, she trained at the Exeter University School of Education, before beginning a teaching career spanning the independent schools’ sectors in England, Scotland and New Zealand. ‘It’s a privilege to be entrusted by parents with the task of providing their child with the essential foundation for their education, their foundation for life,’ Penny believes. ‘Our young pupils have limitless potential to lead exciting and generous lives. We have a responsibility to educate and inspire, and to encourage every pupil to flourish, in mind, body, and spirit. Penny is a keen sportswoman, having played hockey and water polo to an international level in her youth. Now she is kept busy as a club hockey coach and she also enjoys writing novels for children.